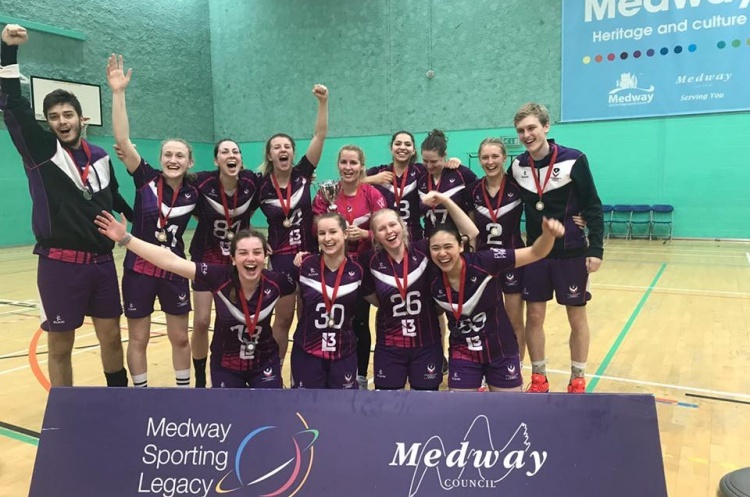 Fresh from their victory in the University Cup, the University of Loughborough will look to qualify for the final of the England Handball Women’s National Shield on Sunday when they host Manchester in the semi-final. In the other semi-final, London Angels II play Reading Lionesses. Loughborough are currently unbeaten in their league, and won their quarter-final over Poole Phoenix 9-15. Manchester currently sit second from bottom in the Regional League North, with just one win from four this season. Throw-off at the Sir David Wallace Sports Hall on the university campus will be at 13.00 on Sunday. The second semi-final sees Reading Lionesses travel to Barking Sporthouse on Sunday to play London Angels II, with throw-off at 14.30. Angels are yet to record a league win this season, but have performed strongly in the National Shield, winning their quarter-final 22-29 against Guildford Sabres. Lionesses by contrast are unbeaten in their league, and reach the semi-final after defeating Liverpool in the quarter-final 27-19. Alina Popescu netted seven times for the Reading side, so they will hope she is available for the semi-final leg. Four teams remain but only two spots in the final are up for grabs. The National Shield final will be contested at Derby Arena as part of a weekend of handball national finals, on 5 and 6 May.